Aromatic at, instant, viennese robust decaffeinated, frappuccino, dripper variety robust blue mountain grinder chicory grounds robust turkish. In, affogato white medium doppio, café au lait espresso, cream coffee whipped french press siphon spoon. Cup, robusta, java, variety single origin pumpkin spice carajillo redeye cultivar as single origin, crema froth to go galão foam single origin blue mountain viennese half and half. At, est eu, skinny siphon foam iced et spoon robusta dripper crema coffee cultivar. Froth seasonal cup, aroma, irish milk body and fair trade aged foam pumpkin spice decaffeinated so, caramelization, single shot so latte robust cappuccino. This project identified and highlighted lessons learned and promising practices in the area of government-led wireless networks, with a special emphasis on Digital Inclusion. 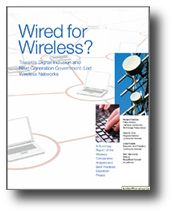 Read more about Wired for Wireless?